Widgets Control Pro features visibility management for every widget and sidebar. This means that you can control if a particular widget (or all widgets in a sidebar) will appear on a page, based on the type of page that the visitor views and other conditions. 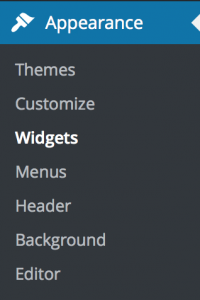 The plugin provides individual settings for each widget and sidebar. To adjust the visibility settings for any widget, follow these simple steps outlined below. Similarly, these options are also available for your theme’s sidebars. On your WordPress Dashboard, go to Appearance > Widgets. Click the widget for which you would like to adjust the visibility. Below the widget options you will find the Visibility settings. Select one of the three available. Below the Visibility settings you will find a text box for Conditions. Input one or more conditions or tokens that identify certain circumstances, pages or sets of pages on your site for which the widget should (or should not) be shown. Here is a brief overview of the available conditions and tokens. We will discuss each in detail in the following sections. To include or exclude pages, use page ids, titles or slugs. To use them, input the appropriate ones each on a separate line in the Conditions text box. This will restrict the selected Visibility option to the desired circumstances or pages. Similar conditions and tokens are used with the Shortcodes that Widgets Control Pro provides. 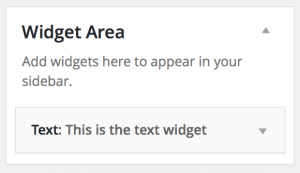 The same Visibility options are available when you go to the WordPress Widget Customizer to edit your widgets.